Kawaii ne! Thanks for upload! They're looking at eachother in the eye. I'll admit it's cute, if that's what they're aiming for. But a different Maid outfit might suit them better. 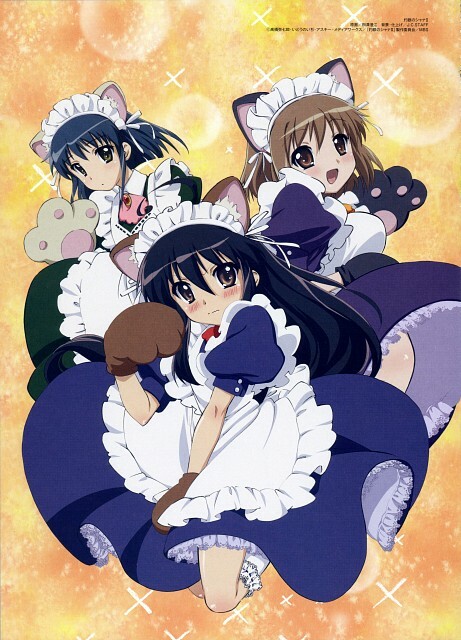 ALSO; I'm glad this Anime didn't make sexual-intention-based Maid Outfits, for Wilhelmina, specifically. GReat scan i love this scan very much!